For the past weeks, there have been a lot of rumors pointing out Sprint carrying the iPhone 5, as well as T-Mobile. 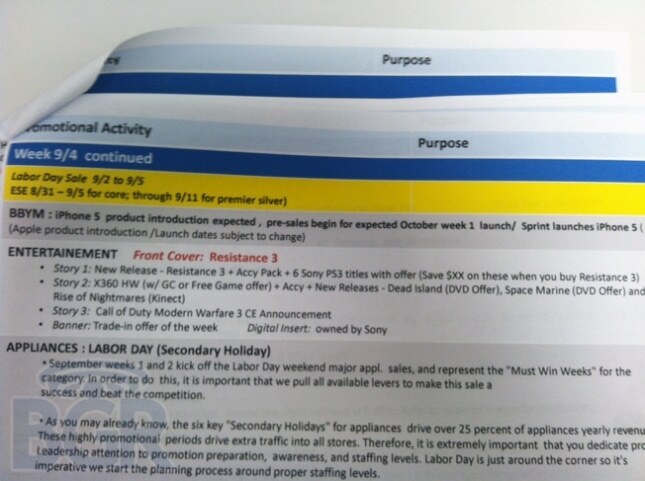 Well today it appears that a Best Buy internal memo that was leaked by BGR has confirmed this rumor. As you can see from the image, it says that pre-order for iPhone 5 will begin on the first week of October. But the interesting part is that it states that Sprint will also launch the iPhone 5. Another thing that will interest you is that the source also says that pre-order is likely to start this week and phones arrive in the first week of October.